Having the right POS system for your business can mean the difference between success and failure. With our point-of-sale solutions, we have a proven track record of success and the ability to help you manage your operations more efficiently. We have options starting at only $29 per month and no upfront costs. We even offer free menu programming and installation on our Harbortouch Elite systems. Also, you don't need to spend hours or days searching for a new POS system that has the features you need. 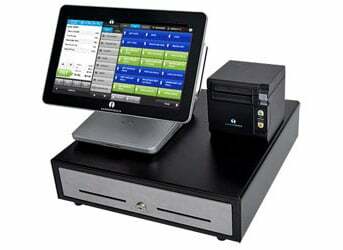 Our POS software and hardware has all the features and is fast, efficient, and reliable. Don't leave your business success to chance. Let our team of experts help you be more successful with a no up-front cost point of sale system designed specifically for your business. Complete our form for more information and to get the best prices. Dallas POS Systems is a Texas POS dealer with a focus on providing affordable and straightforward point-of-sale systems with cost-effective merchant services for all kinds of businesses. 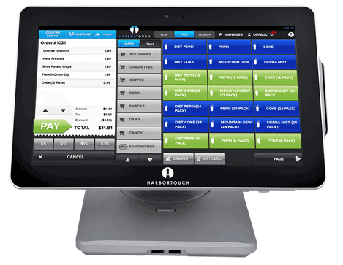 Our Dallas-Ft. Worth, TX office offers multiple POS solutions including Harbortouch, POS Lavu, and cash registers. With hundreds of satisfied customers, we provide the future of restaurant and retail management systems. You focus on growing your business; we'll help with the computer stuff. With so many options available for restaurant and retail merchants, we make the decision-making process informative, fun, and simple by providing educational onsite or online demos of our products. We focus on answering your questions, understanding your business needs, and match you with the perfect POS or cash register system that has the best merchant services rates. Our goal is to help you discover the future possibilities by providing a ton of value with absolutely no annoying or high-pressure sales tactics. You can expect fast, professional, friendly service and that’s it. Visit our POS dealer service areas or contact us for a free demo and quote. Why Choose Our POS Company in the Dallas, Fort Worth, Texas, Metroplex? 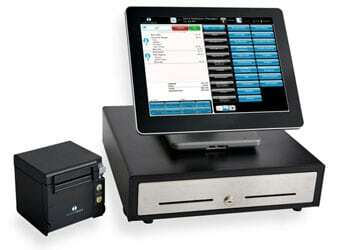 With Dallas POS, we only offer our customers the future of affordable and simple point of sale software and hardware. If you have an aging cash register or point of purchase system and would like a new modern retail or restaurant POS system that's both affordable and easy to use, then we would love to talk to you. Our focus is on products and services that will save you money, make your life easier, and get the results you expect and deserve. Not sure which software is best for your restaurant? 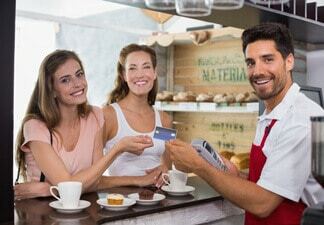 Our parent company Point of Sale USA maintains a list of the top restaurant POS systems in the industry with individual reviews to help you compare and find the right solution for your business. The list is updated monthy to provide the most accurate data online. The days of the "old school" systems are coming to an end. Traditional "Big Brand" companies continue to increase their product and support prices making it tough for merchants to afford their solutions. Also, if you want to attempt to troubleshoot any issues yourself or make simple admin changes, you might as well forget about it. These type of systems are way too complicated and require specialized training just to make a simple menu adjustment. We know because we used to sell these kinds of solutions. Sure they are perfect for a company's bottom line but are horrible for merchants due to the complexity and cost of ongoing maintenance and support. With today's technology, we now have a better way. We are the top POSLavu dealer in the Dallas-Ft. Worth (DFW) TX Metroplex. We are premier Lavu specialists with hundreds of installs and satisfied customers. We offer remote demos of the Lavu software. Our options are affordable, reliable, and industry specific. Choose from Cloud or Windows-based terminals with montly fees that are reasonable. POSLavu pricing has changed, and is now less expensive! Integrated credit card processing to save time and streamline operations. Transparent Interchange Plus Rates with EMV. With our total merchant services, you'll get a local merchant provider and support. 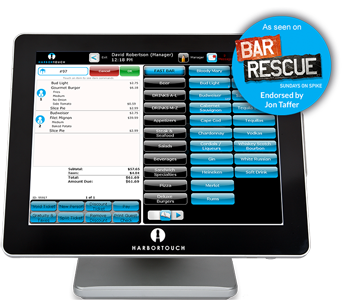 With POSLavu or Harbortouch Bar and Restaurant POS system, you can take full control of your restaurant. 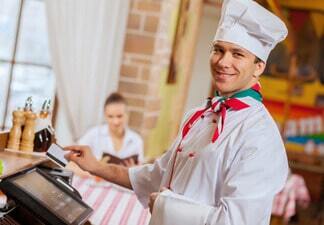 Manage your restaurant with inventory management, employee management, and live sales figures. Traditional touchscreen terminals have extremely steep price tags. Our restaurant management systems have the same functionality and features, for a fraction of the price. Table-side ordering, split checks, assign seats, and courses. Cash registers are a dinosaur of the past. The friendly, familiar interface of the iPad or tablet makes it very easy to run a bakery, deli or QSR. All of our software is simple to use, and training is fast. Make customized pizzas for your customers with our pizza builder. 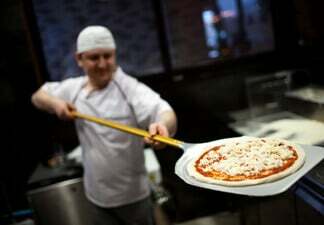 Quickly add toppings to portions of the pizza to ensure the client gets what they ordered. Delivery and routing features are available. Configure unlimited modifiers, so your customers always get the right product they ordered. Up-sell with the use of modifiers by requiring employees to offer additional products with every order. 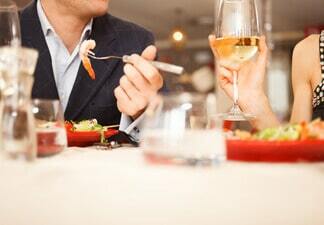 Table-side ordering allows servers the freedom to place orders on-the-go. 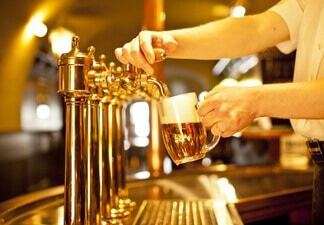 Multiple happy hour features, create customer tabs, pre-authorize credit cards, and employee management. With Harbortouch Retail, take your retail business to the next level by utilizing the future of point of sale software and hardware technology with all the features you would expect in a retail solution. 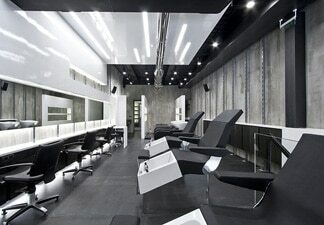 Harbortouch Salon and Spa is software available for nail salons, hair salons, and spas. Features you need for appointment management, business administration, customer management, marketing, and employee timekeeping. 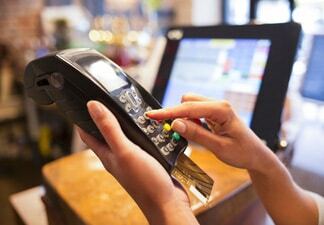 Free EMV terminals for qualified customers. Protect your client's data and your business by placing EMV credit card processing terminals at your business. EMV is the next level of security. As merchant service providers since 2004, you'll benefit from our business and IT experience representing multiple industry specific solutions and merchant providers. Free EMV terminal placement for qualified customers. Onsite or remote demos of our products and FREE quotes. #1 iPad POS Reseller in the Dallas, Fort Worth, Metroplex. Choice of point-of-sale systems based on your industry. iPad, Android, tablet, and touchscreen products. Local service and 24/7 vendor software support. “The Lavu system helps create a seamless experience for our customers that is low-key yet sophisticated." 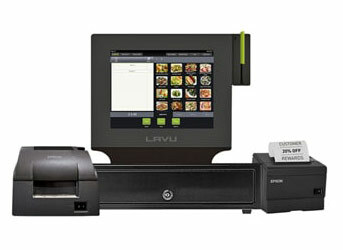 “Our tech-savvy customers expect us to have a leading edge POS solution that works well, and Lavu’s iPad-based solution not only meets the aesthetic demands of our award-winning retail stores but also provides a responsive and intuitive platform that allows our baristas to focus on serving our coffee to our customers." “Lavu has been proven to be a great tool for my business, Rude Boy Cookies. We use it to track sales, manage our menu mix and input schedules." “Lavu's handheld ordering devices make the service in my bar top-notch, as employees can spend more time with their guests and less time at the computers ringing things in." “I love Lavu’s hourly sales. For me, this report is priceless because I am constantly monitoring them for our 3 locations." “It was time for our business to upgrade our cash registers for 3 of our restaurants. The customer service offered by their team of restaurant fanatics worked with our small family restaurant from offering the products they install to the actual operations of the restaurant! The type of detail their team put into the installation of the new system exceeding our expectations. We were able to take advance of their knowledge of restaurant operations and efficiency to make our restaurant run even more effective as it has before! They provided us an excellent product that can be used easily by everyone in our 30+ employee restaurant. Installation was simple, fast and completed in a day’s work. We would highly recommend Dallas POS Systems. Contact us today for a no-obligation demo and quote.